Brandeis Magazine is a publication of the Office of Communications. We welcome your feedback and story suggestions. 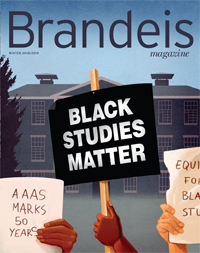 To suggest a story or request a correction, email magazine@brandeis.edu. To submit a letter to the editor, email letters@brandeis.edu or send to the address below. Finally, to give us feedback on the website or report a bug, email webfeedback@brandeis.edu.